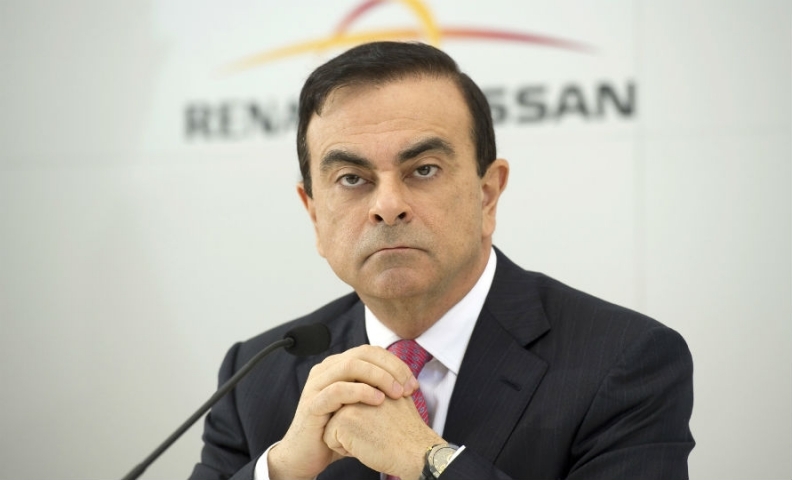 Ghosn: "You will see an evolution toward separate responsibilities for Renault, for Nissan and for Mitsubishi." PARIS -- Carlos Ghosn opened the door to stepping down as CEO of Renault, as he focuses on the Franco-Japanese alliance he built with Nissan and Mitsubishi Motors. Ghosn, who handed over the CEO reins at Nissan last year, retains leadership posts at all three manufacturers while heading their alliance as chairman and CEO. The current arrangement has been temporary, he said, as he sought to consolidate the companies' joint work. Ghosn, 63, is an industry luminary, having saved Nissan from near-collapse and spearheading the globalization drive that currently unites carmakers across continents. Stepping down at Renault, where he has been CEO since 2005, would leave him without a group CEO title at any automaker for the first time since 2001. He said his future roles at Nissan, Renault and Mitsubishi would depend on their boards and whether his vision through 2022 aligns with theirs. “If we agree that I can contribute to this roadmap, we will go on,” he told lawmakers. “If there’s no agreement on the roadmap, we’ll stop.” The multiple posts are a challenge, he added. The remarks mark the first time that Ghosn has acknowledged he could give up running day-to-day operations at Renault, which ranks third in European car sales, where he is also chairman. He’s also chairman at Mitsubishi and at Nissan, where he relinquished the CEO title last February. Last month, French newspaper Les Echos reported that Renault was looking for a successor to Ghosn as CEO. The carmaker is searching for somebody who could take on a more operational role at the automaker, either as CEO or operational director, two people familiar with the matter told Bloomberg News. The top candidates are people who work at Renault or who once worked at the automaker, sources said. Renault bought a stake in Nissan in 1999, and the two automakers added to their partnership with purchases of stock in Tokyo-based Mitsubishi in 2016. The alliance helps the companies gain the scale needed to cope with spending the industry is facing to develop greener cars and autonomous technologies. Their combined deliveries last year amounted to 10.6 million vehicles, which exceeded figures at global automotive leader Volkswagen Group when the German company’s heavy trucks are excluded, Ghosn said. Among common projects, the alliance has created a venture capital fund to invest in tech startups. Ghosn said separately that the French state was a good long-term shareholder and that it isn’t for him to say whether the government should reduce the stake further following a recent partial sale. A year ago, Ghosn said there would be no merger between Renault and Nissan as long as France was a shareholder. The state owns 15 percent in the automaker after selling a 4.7 percent stake in November. The government had acquired the shares in 2015 to thwart an effort by Nissan to gain more influence over Renault.